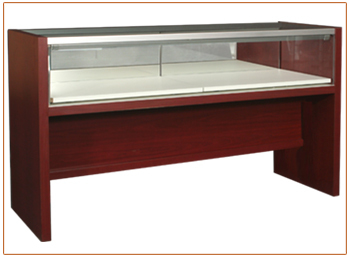 Sit-Down Jewelry Showcase allow your customer to sit while you show off your merchandised items in a retail display case. Glass display box for jewelry is 12" high and 20" deep. Overall height is 34". Storage options are not available.